According to the latest numbers from IDC, the iPad is maintaining the forward momentum that Apple kicked off with the release of the lower-cost iPad early last year. Apple is at the top of the tablet heap with around 26% market share worldwide. That may not sound like much, but it is still more than the next two competitors (Samsung at 15.2% and Amazon at 10.2%), combined. You have to consider that most of Amazon’s tablets that are sold are of the 7″ or 8″ dirt cheap variety, and they they use bargain pricing and aggressive marketing to bring in impulse buyers. The situation isn’t much different with Samsung, even though they do have legitimate high-end models available. The fact that Apple still has such a commanding lead selling hardware that costs 7 to 20 times what their primary competitors are selling is surprising to me. Despite this, it is definitely worth noting that Amazon overtook Samsung for second place in tablet market share in the 4th Quarter of 2017. Considering how different Apple and Amazon’s devices and target markets are, I think this is more bad news for Samsung than for Apple. 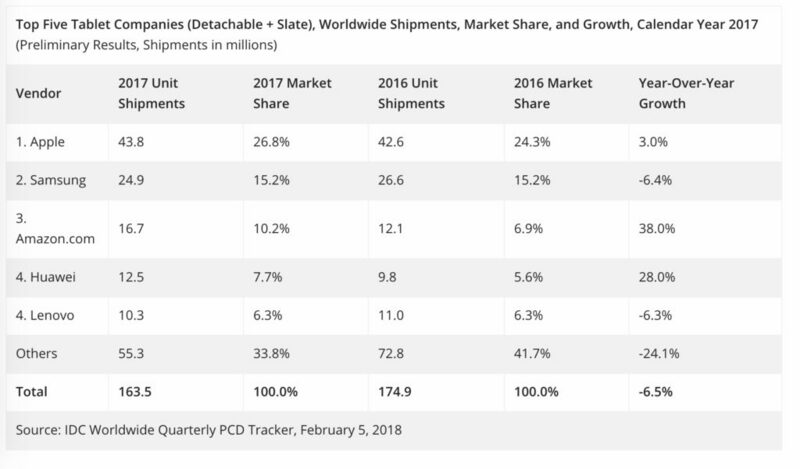 Even if Amazon were to overtake Apple in tablet market share at some point, there is no way they would cut into Apple’s profits unless they changed everything about their current hardware and marketing. As it stands right now, they are chasing different customers and selling very different devices with different purposes. However, this is starting to look like the end of any hope for Samsung, which makes both low and high end tablets, to be competitive in either market. The other interesting fact that came out of the IDC report is that the tablet market as a whole is struggling pretty badly. Tablet shipments have now declined overall for a whopping 13 straight quarters. Apple is still holding steady and still growing a little (3% year over year), but that’s ok with their high-end hardware and high profit margins. However, other than Amazon and Huawei, no one else is growing. In fact, everyone else, including Samsung, is in decline. It will be interesting to see if Apple will be able to continue to keep up their recent forward momentum in 2018. This may depend on whether we see new hardware, and if so, when it comes. 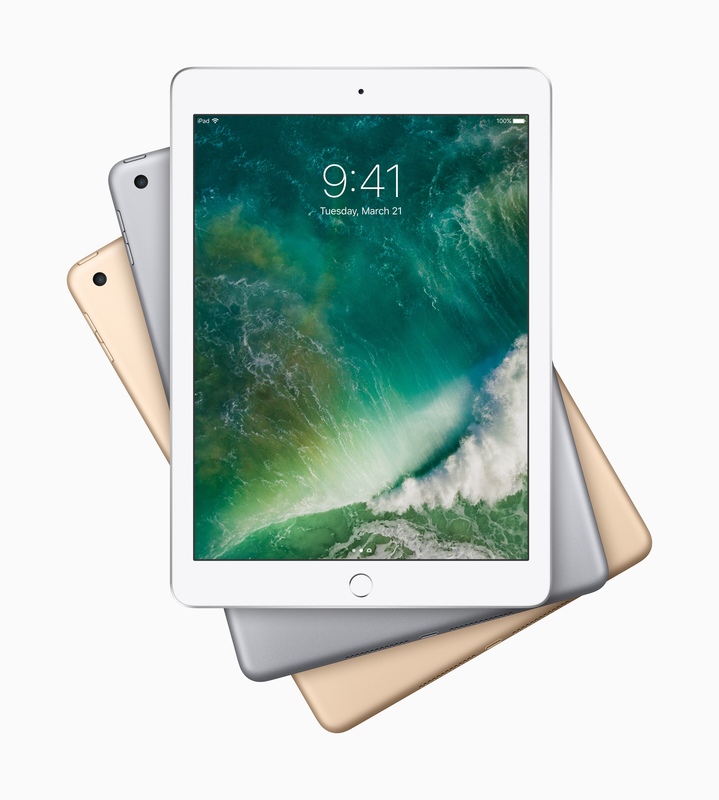 No matter what, as with the Apple Watch and the Smartwatch market, the tablet market still belongs to Apple for the foreseeable future. The only real race right now is for a distant second place.